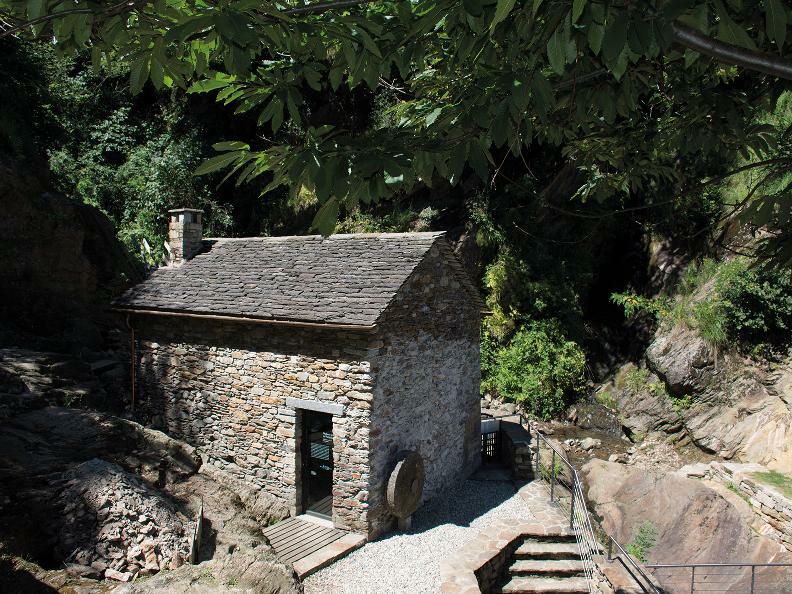 There are elements of Ticino’s heritage that remain hidden, buried beneath layers of debris or reduced to ruins, which merit being brought to light. There are various reasons to undertake this: knowledge and respect for our history, love for the region and the desire to see and bring value to the traces of our civilisation. It’s therefore worth transforming what is merely a faded record that doesn’t even feature in history books into real, tangible reminders to be preserved for us and for future generations. 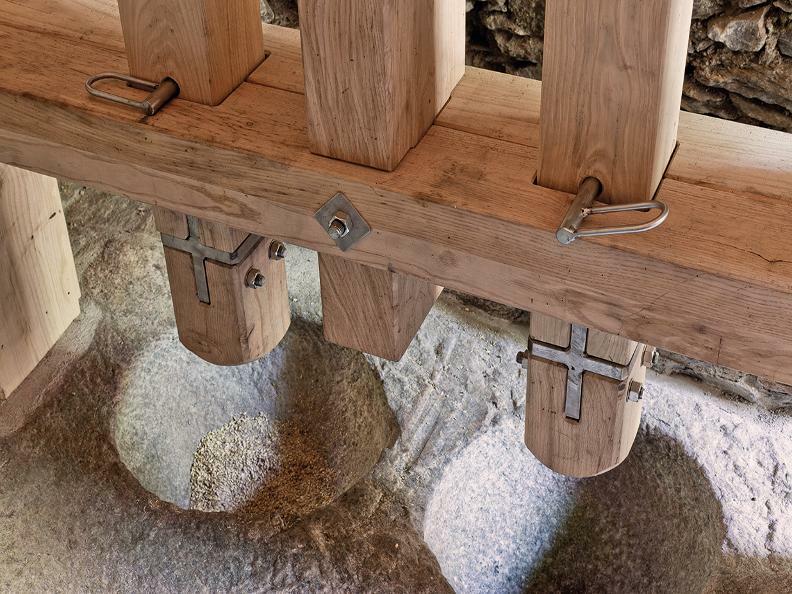 The restoration of the mill and the grinder of Precassino in Cadenazzo, an old water mill which has been out of use for many years, is an important piece of heritage from precisely this perspective. The municipality of Cadenazzo, provider of the initial planning credit, issued a mandate to the architect Christian Rivola from the studio ribo+. Thanks to the characteristics and the validity of the project presented, which was well received at local, cantonal and federal level, it was possible to make investments and implement the project. Crucial to the restoration work was the voluntary contribution from the “Associazione Antico Mulino del Precassino” and the collaboration of vocational schools and related associations. 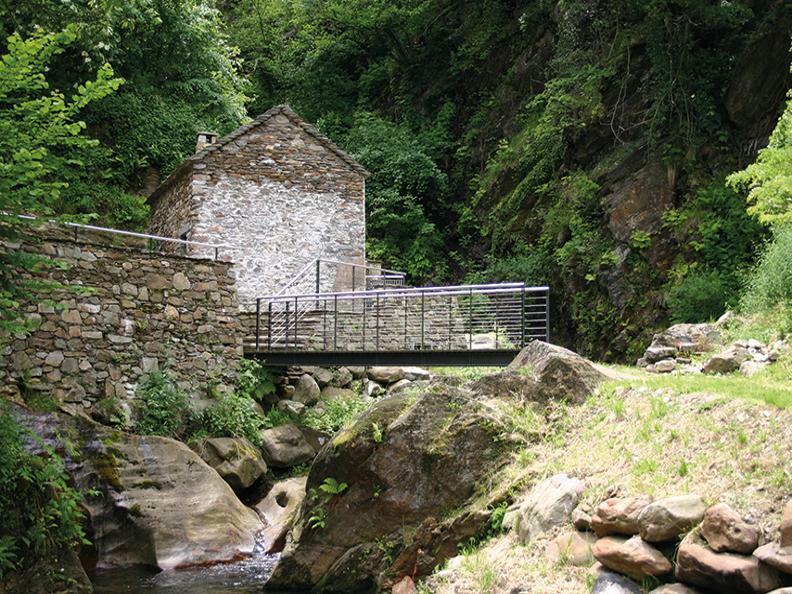 This special mill, the transformation of which is still not yet complete, boasts two specific features. The first is that it had two mechanical systems: a grinding mill and a press with double mortar. The latter, which functions hydraulically, was a very rare device in the past. One need only consider that in the compilation of the public water register for Ticino, drawn up in 1895-96 and preserved in the cantonal archive, only around thirty presses were recorded among more than 600 mills. The other unique feature of Precassino is its historical and territorial context. Nestled in the rural area near the village of Cadenazzo and the last waterfall of the Robasacco stream, it should be considered in a much broader context, given its location along the transit route for those crossing the Monte Ceneri Pass. The Precassino press thus becomes an important element within the themed itinerary of the “Via del Ceneri”. The restoration of the mill and the grinder of Precassino signifies recognition of the importance of a historic building, which becomes a notable element for the enrichment of itineraries that enable visitors to discover the historic routes around the Cadenazzo-Robasacco-Monte Ceneri slopes, thus promoting local tourism involving excursions and cultural itineraries in the region. Possibility of guided tours by calling +41 (0) 91 825 21 31.